A large bean bag lounger chair will be a great addition to their home or apartment. 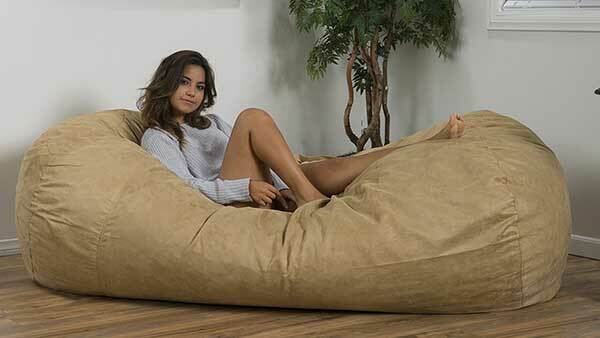 The Great Deal Furniture company has these bean bag loungers in many sizes (4, 5, 6, and 8 feet). They also have many color options available. The smaller ones are obviously less expensive. For the few that don’t know what a bean bag chair is, it is a fabric bag filled with Styrofoam pellets, urethane, or other small particles that allow the chair to conform to the shape to of the user. They first became really popular in the 70s. They went out of style for a while, but in the 2000s they became cool again. One you sink into a bean bag lounger chair for the first time, you’ll see why so many people love them. 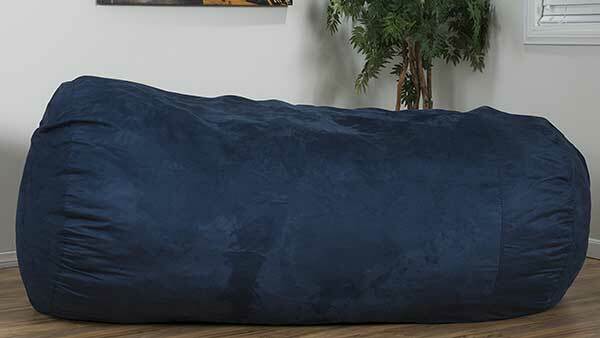 The dimensions of the 8-foot bean bag chair are 8 feet by 6 feet. It is huge, so if you are buying one for someone who doesn’t have a whole lot of space you might want to consider the 6 foot chair or another size. You can choose between black, blue, tuscany tan, red, charcoal, or brown.